Colourful markets vie with rich wildlife and a fascinating history for your attention. Where will you go first? Ghana is a country of smiles. The sense of humour of the Ghanaian people is legendary and they greet life’s bittersweet twists and turns with a full heart and a cheery shrug. The hierarchical tribal society respects religious convention and ethnic heritage and is consequently rich in tradition and ceremony - it’s well worth seeking out a local festival for the overload of colour and sound. This is a land of green hills, savannah, tropical forests and golden beaches which has its arms wide open waiting to welcome you with warmth and beauty. There are many wonderful experiences to be had in this cheerful African nation. For further inspiration take a look at the trip ideas put together by our trusted local experts at the foot of this page, but in the meantime here are our top three things to do in Ghana. If you love wildlife, then head to one of Ghana's fantastic national parks. 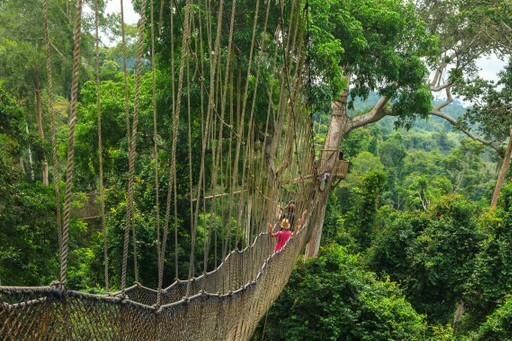 Kakum National Park has a canopy walk with a panoramic view of the tropical forest below, from which you can watch out for monkeys, antelopes, yellow-backed duiker, elephants and the African grey parrot. For more of a safari experience, head to Mole National Park - 5,000 square kilometres of savannah a home to over 300 species of birds as well as hyena, hippo, warthog, elephants and plenty of antelope. Ghana has over 500 kilometres of coastline, scattered with golden beaches shaded by swaying palm trees and lapped by South Atlantic waves. 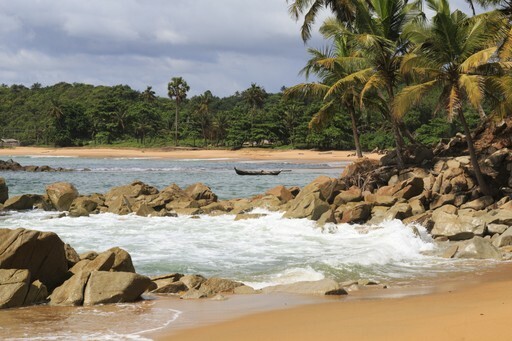 Head to Anjobra beach for a perfect sunbathing spot whilst also being close to a mangrove forest ripe for exploration, or stay in an eco-lodge at Axim on the fringes of Ankasa Forest Reserve. If you really want to get off the beaten track, then head for the remote beauty of Cape Three Points. The horrors of the slave trade are brought to life at this UNESCO World Heritage Site, built by the Portuguese in the 15th century and extensively restored in recent years. The building itself is impressive and it is well worth an exploration whilst taking in what its presence meant to the history of the Ghanaians. 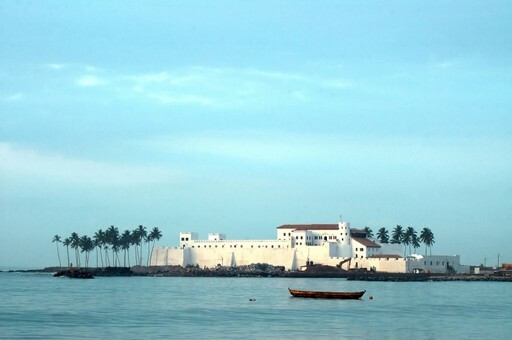 After your sobering visit, a walk along Elmina Beach will remind you of the glowing future Ghana has ahead. When should I visit Ghana? Temperatures in Ghana are hot and stable year-round, with average daily highs of around 28°C and lows of 21°C. The wettest periods are from April to June and September to November, which can hamper some travel plans, but this depends where you wish to go. Tourism peaks in the south of Ghana in the dry and slightly cooler months of July and August. Visitors in December, January, February and March can expect to find comparatively dry (if humid) weather and less crowds. 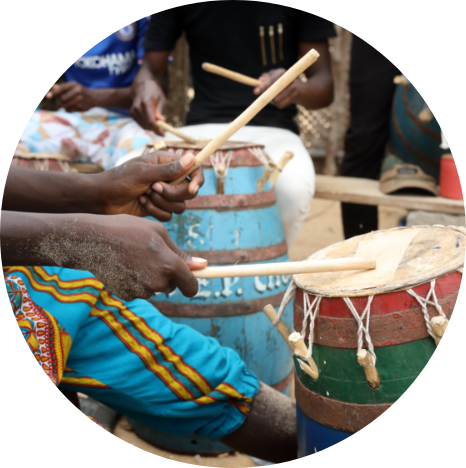 Create your bespoke holiday to Ghana!